Rose Publishing offers 9 free Bible eCharts in PDF format when you sign up for their email list. By signing up, you will receive free eCharts weekly. I am a fan of Rose Publishing’s Bible charts. I usually buy them in sets of three (they are 3 for $10 at Lifeway). I downloaded my 9 free charts and I’ve already started using them for Bible study and reference. Now I can’t wait to see what I get weekly. 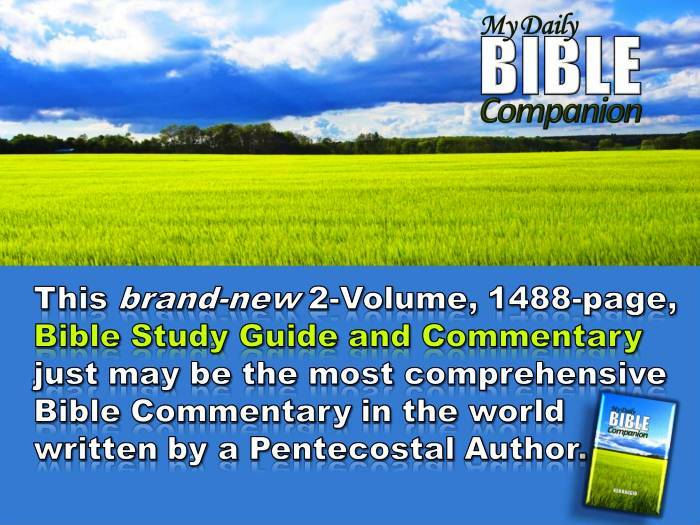 My Daily Bible Companion by Ken Raggio is a 2-volume 1488 page study guide and commentary that contains over 4800 lessons. For more information click on the link above to visit Ken’s site or on these images to see a slideshow.